As high quality hotel decorators in London, GS Decorating, were asked to decorate the music room of a boutique hotel in Spitalfileds, using Farrow and Ball’s Dead Flat paint. Click on the following link for our recent post on Farrow and Ball Paints. The hotel is an traditional Edwardian property that is a well known haunt of the world’s trend setters and is generally booked up months in advance, especially during London Fashion week. The room in question is south facing and receives a lot of sun during the day time. 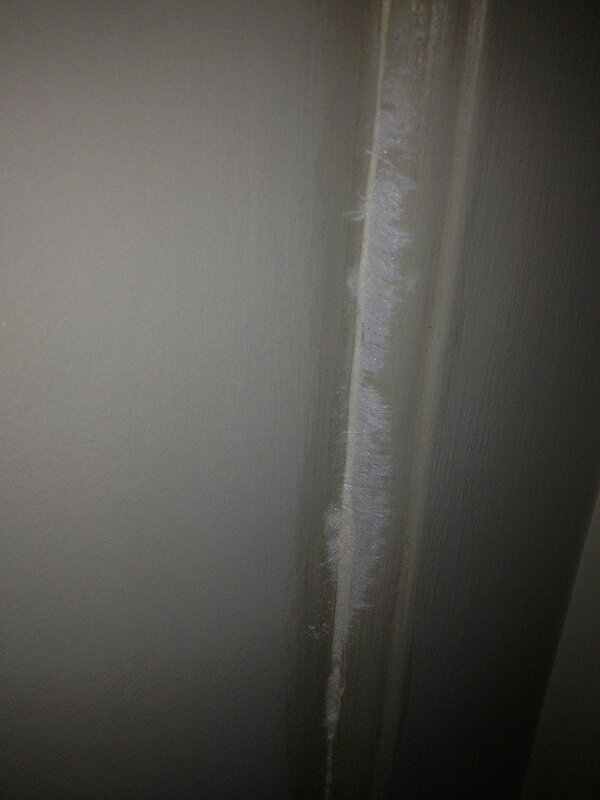 Which over time this has dried the panelling in the room, resulting in the wood splitting and cracking. The brief was to try to hide the cracking, and for some reason the previous decorators had wallpapered all the wood panels in the room. Why, I hear you ask? We thought the same thing. Really you never should wallpaper over wood, wood is meant to breath. If the wood cracks, that adds to the character. With older properties you’re not going to get away from the cracks and little intricacies that gives the property it’s character. But not only had the centres of the wood panels been wallpapered, but they had also then wrapped the paper around all the curved beading taking it right around room. Shall we say, this technique had just not worked. Not in the slightest. The paper had bubbled over the beading, there were cracks everywhere and the over all standard of the room was pretty bad. To try to put this right, they had then attempted to syringe in wallpaper paste with a needle to build back up the definition in the beads. Why did they do this I hear you say? We thought the same and are still not to sure! The wallpaper they used was not of the cheap variety either. De Gournay wallpaper, does not come off the shelf, it’s silk-backed and hand-made. There are very few decorators in the UK that will hang De Gournay paper due to the price of the paper and the skill needed to carry it out successfully. If you make a mistake hanging it, you better have good insurance. At GS Decorating we have one decorator in our mist, who is one of the few highly skilled decorators in the UK who can hang De Gournay paper, and the look on his face when being told of what had been done, was priceless. The specification by the client was to repair the beading on the wooden panels, blending in the silk De Gournay wallpaper instead of stripping it all off, which we had recommended. Once the room had been prepped properly, we were to paint all the surfaces with Farrow and Ball Dead Flat paint. As the client did not want to stip all the papar from the wood. We carefully cut out all the silk wallpaper that was over lapping onto the beading using various decorators knives. We then sanded down all the surfaces using our dustless sanding equipment to prepare all the surfaces back to a flat, smooth state. This became pretty tricky, as we had to ensure that the wallpaper did not fray close to the beading edge. 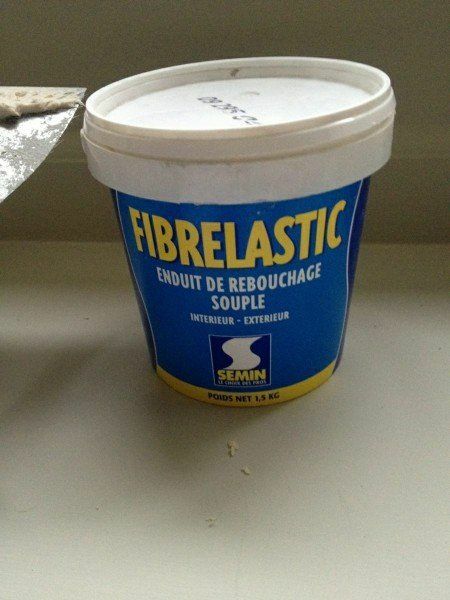 We then used a French product called Fibrelastic to deep fill into the joints around the beading and then sanded the Fibrelastic back by hand to ensure a smooth fill. We then use Troupret Powder filler to create definition on the joins, before applying a thin layer of decorator chalk to stick the wallpaper down, ensuring no frayed edges returned. Finally the paint brushes came out and we painted all surfaces with four coats of Farrow and Ball Dead Flat paint. Dead Flat is a very tricky paint to use and still get a top class finish. Even as, highly skilled hotel decorators we have to concentrate when applying this product. Once the paint had gone on, all that was left to do was tidy up our work space and leave the room looking great. GSDecoration are a high quality painting and decorating contractors based in London. We specialise in decorating properties to the highest standard possible. Please look through our site for more examples of our work. 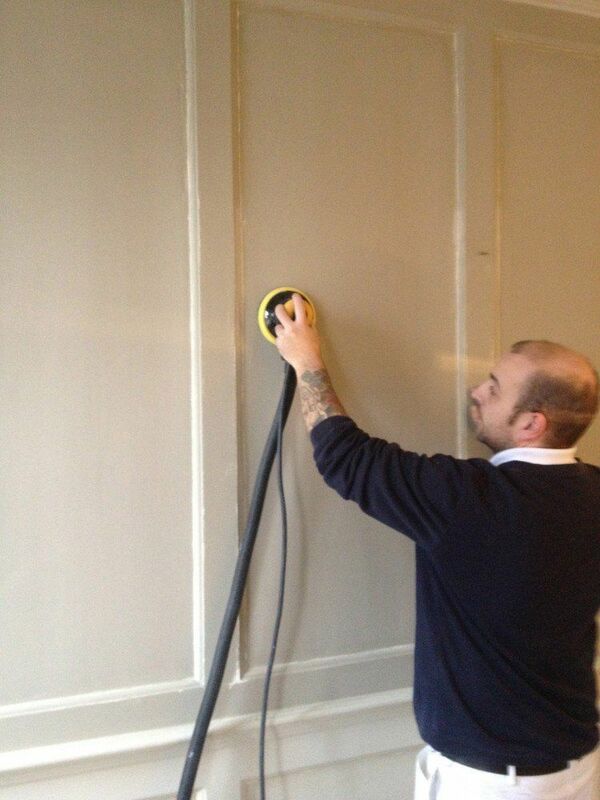 If you need a high quality hotel decorator in London please get in contact with us now.